The Haas Medium Stiffness Royal Brush or "Die Fuerstliche" is an elegant leather back brush. The royal blue leather with the crown symbol along with a mixture of dense horse hair with longer bristles on the edges make this brush truly regal. The leather back conforms perfectly to one's hand with steady use. 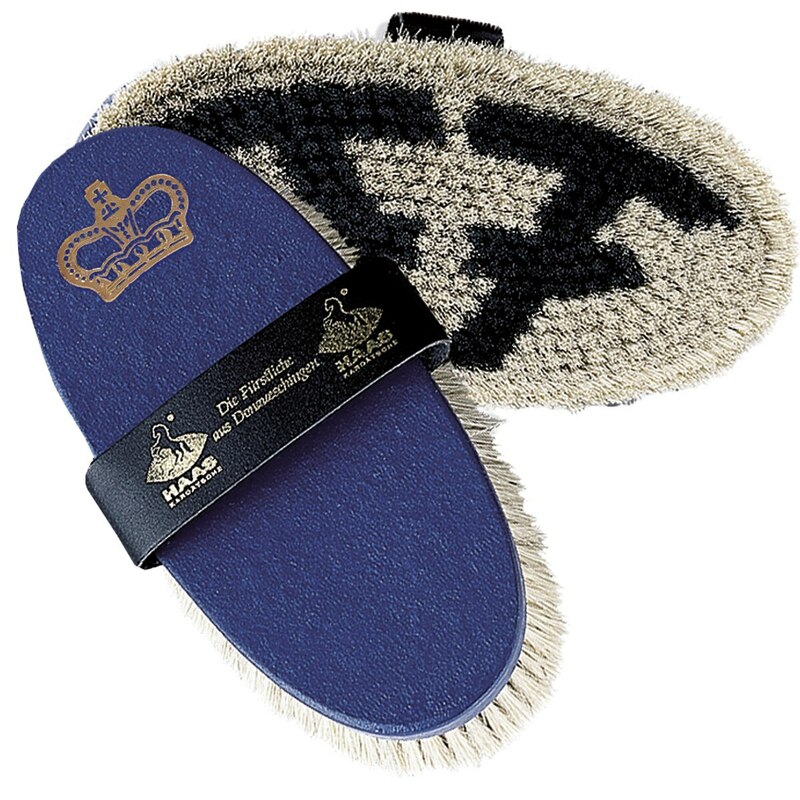 The royal blue leather with the crown symbol along with a mixture of dense horse hair with longer bristles on the edges make this brush truly regal.